Congratulations for planning a Walt Disney World Vacation during Spring Break! The weather is great and there is a world of fun to discover at Disney World. The downside is that you will not be alone. This is one of the most crowded times of the year to venture to Orlando, Florida to visit the Disney World Resort. Fear not, with a little planning and some helpful advice, you can tour like a pro and make sure that your Spring Break trip is spent enjoying the shows and attractions instead of standing in line. The most important advice you will receive is to arrive at the parks approximately 30 minutes prior to opening. Even during the busiest seasons, you can still enjoy the parks with minimal lines during the first 2 hours that they are open each day. By arriving prior to the opening time, you maximize this initial slow time and experience the attractions that you have been waiting so long to see! Use Disney World's free FastPass system. Disney World allows each guest to reserve access to one of their most popular attractions at a time by using their FastPass system. It is free to use and will greatly reduce your time spent waiting in lines. From personal experience we target 20 minutes waiting in line as the threshold. We have gone entire weeks during the busiest part of Spring Break without having to wait longer than that for ANY attraction. To accomplish this you need to follow steps #1 & #2 above and have the discipline to skip attractions when they get lines longer than 20 minutes. This sometimes means making sure that you visit your must see attractions as soon as the park opens or make sure you get a FastPass for them. Make sure that you make all Dining Reservations prior to arriving for your vacation. There is nothing more disheartening than seeing families being turned away from restaurants in the evening because there are no opening and they didn't make reservations. This is an absolute must if you have booked the Disney Dining Plan for your vacation. Remain flexible. Although you should have a plan for each day of your trip, don't be afraid to be flexible. Remember that your goal should be to have a great family vacation and that is more important than following your preplanned schedule to perfection. If all else fails go to Epcot. If things start to get too crowded, just head to Epcot. 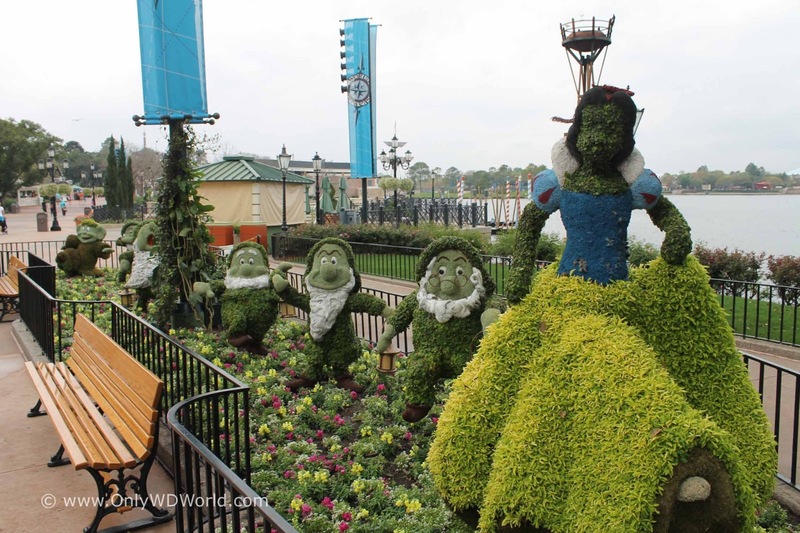 This Disney World theme park can handle the extra crowds and with the International Flower & Garden Festival there are many things to see and enjoy beside the normal attractions. Use these tips to enjoy your Disney World Spring Break Vacation! Don't let the crowds get you down, because you now know how to handle them. 0 comments to "Great Tips For Your Disney World Spring Break Trip"